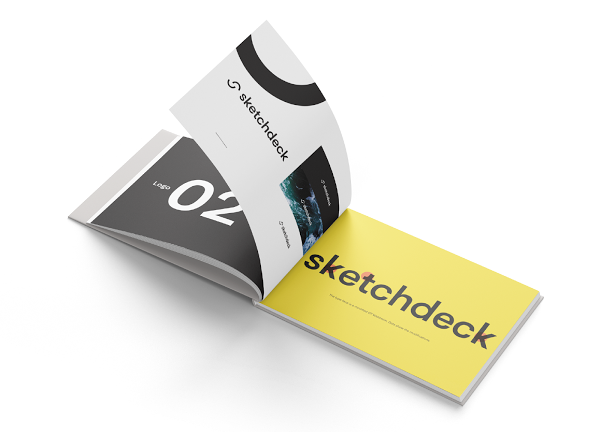 SketchDeck has a new brand, logo, and tagline! We developed it for ourselves using our awesome design service. The new brand will make it easier for us to communicate about our unique fusion of software and our talented design community. Current clients: Check out our new look, we think you’ll like it! Read on to learn more, and don’t worry — it’s still our same solid service and caring team delivering your design. Thank you for your continued support. Like many other startups, we grew up quite fast. Our original brand was developed over 3 years ago while we were still establishing what we were as a service. The primary colors were borrowed from a previous venture the founders had started. The original logo concept was created by David Mack, our CTO and co-founder. It was a bit inconsistent and experimental, but so were we back then. It worked for what we were doing at the time. Some of those early ideas caught on. We went from having no clients to having a whole bunch in a short time! Because of this, and over the last couple years, the SketchDeck team has grown and our service has transformed. Our design process and products are better than they have ever been before. We are much more mature as a company. We decided to rebrand because the original brand felt increasingly awkward. It no longer reflected our full capabilities or values. This new brand makes sense and feels correct. It better communicates what we do today, and where we are going. How did you create this new brand? It was natural and straightforward to rebrand using the SketchDeck platform. When you have an entire design community at your fingertips and you just need to click “Start a Project”, it's pretty tough to do anything else. We felt strongly that this was an awesome project for our design community to work on. Enabling them to help shape the future of the company, and make an even bigger impact on our direction and vision, was something we were all excited for. Our design team put in a lot of work. They really drove the creative process. We went through many different iterations to arrive at our new identity. With the logo alone we picked from 45 different concepts and 30 minor variations. This iteration and vetting was essential to the final product. It was very important for us to pick the correct set of concepts and create a cohesive start to a design system which still has room to be flexible and expand as we grow. What are the goals of the new brand? Just like SketchDeck is a legal entity, the company is also a social one. It is something that many different people in the world have a relationship with. Those interactions have an emotional component just like they have a visual component. For example, when someone visits our site, that has an effect. It affects what they think of us, and our brand is the foundation of that. We designed this brand to be the tangible embodiment of the values of our company. We wanted our new brand to be more friendly and more communicative with people -- and also reflect that we're a melding of design and technology. Our platform enables tons of automation. 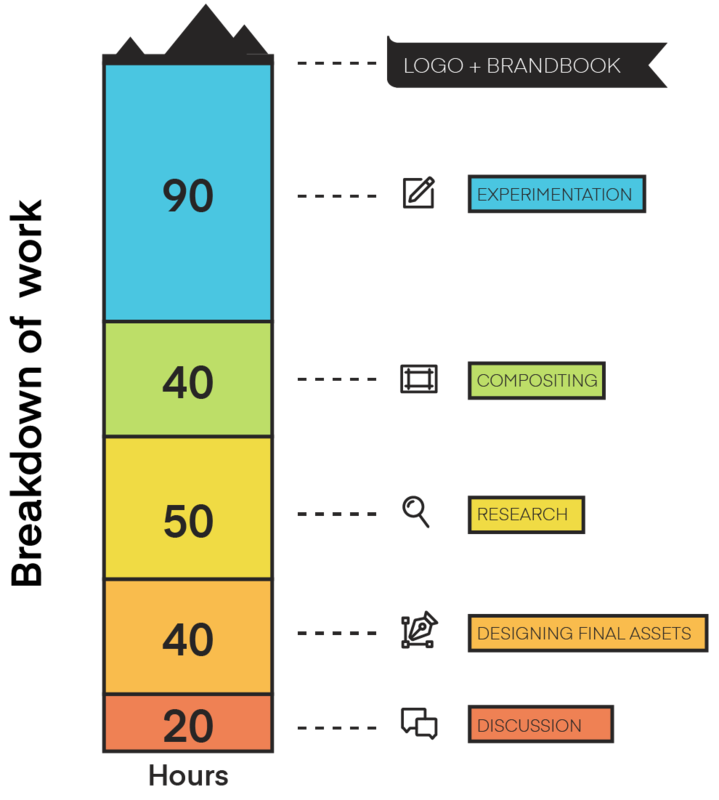 That tech lets us make design happen in a measurable and timely way. We're also a community of creatives and people coming up with ideas. Our platform creates real collaboration between clients and designers. The updated brand had to reflect that. It’s our belief that success comes in part from being genuine with your message. This new brand is an important part of presenting ourselves in an authentic way. We’re very excited to share it with you.